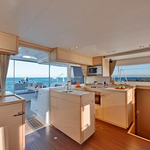 In 2016 has been built sailboat Lagoon 450 called Margeo XI. 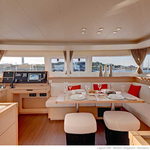 This yacht is based in port Athens around Athens in Greece. 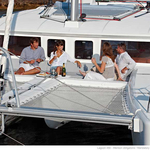 You can take in up to 12 persons on the vessel Margeo XI. 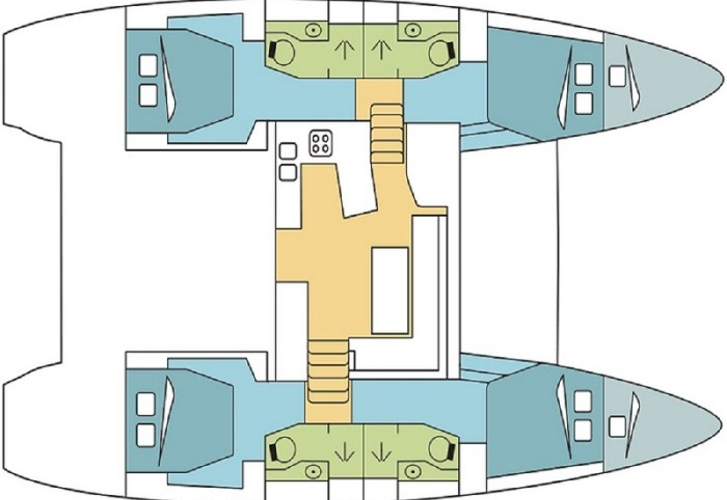 Layout of beds is 12. 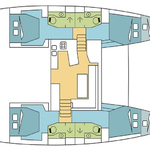 There are 6 bedrooms located under she's deck. Margeo XI has 4 bathrooms. 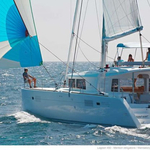 Use our website to find other boats clicking here: Catamarans Athens. Fuel tank is 650.00 l l. big , water tank has up to 900.00 l liters. In this vessel is applied engine 2 X 34 kW. 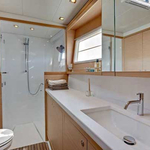 With 13.96 m of lenght and 7.87 meters of width Margeo XI offers enough space for comfortable sailing. 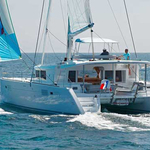 Lagoon 450 Margeo XI is equipped with: 2 refrigerators, Autopilot, Plotter gps in cockpit, Bimini top, Dinghy, Electric winches, Hydraulic gangway, Wc pump electrical, Mainsail with lazy jack, Inverter 12v-220v, Solar panels. . Caution there is 3000.00 EUR. 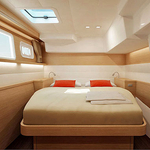 Find more vessels by opening this link here: Catamarans Athens.